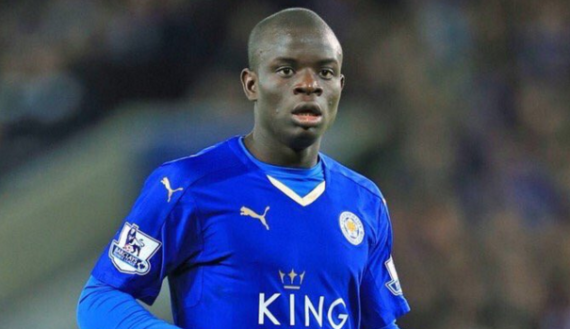 Thierry Henry has heaped massive praise over France midfielder N'Golo Kante. France legend Thierry Henry has spoken glowingly of the contribution made by Leicester midfielder N'Golo Kante at Euro 2016. For many, Dimitri Payet has been the standout performer for the tournament hosts, but Henry says that it has been Kante who has been most valuable to Les Bleus. "Payet has not surprised me. What I like about him is that he plays like it is his last ever game," the former Arsenal forward told the BBC. "Obviously he is getting all the press and he deserves it but for me the most consistent French player so far is N'Golo Kante. "I think he is the guy who has surprised everyone in France. He is just outstanding. He is the first guy who stops everything and he is the guy also who starts the counter-attack." Didier Deschamps side are through to the quarter-finals, where they take on Iceland at the Stade de France on Sunday.